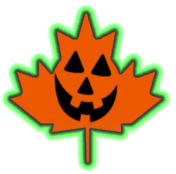 If you, your community, or your business has a Canadian based Halloween attraction, event, party, or provides a Halloween related service such as costume and prop rentals, decorating and event planning services, CanadianHalloween.com would like to list you for FREE on this web site! PLEASE NOTE: YOU MUST HAVE AN UPDATED & ACTIVE WEB SITE WITH INFORMATION PERTAINING TO A HALLOWEEN EVENT, PRODUCT, or SERVICE IN ORDER TO QUALIFY FOR A LISTING. THE APPLICATION IS NOT AN AUTOMATED PROCESSES: EACH REQUESTED IS INDIVIDUALLY AND MANUALLY ASSESSED PRIOR TO POSTING.